Kingdom Hearts is a cross-over franchise between Square Enix and Disney that continues add more characters to its story. We never know what series is going to pop-up next. Ahead of the 2018 Tokyo Game Show, Big Hero 6 takes the spotlight with in a Kingdom Hearts III trailer. We’ve known that Big Hero 6 would appear in Kingdom Hearts III since Square Enix announced it in 2015, but this trailer marks the first time we’ve seen the characters in action together. This short video shows Big Hero 6‘s Go Go Tomago in distress, with Hiro and Baymax flying in after her. At this point, they’re introduced to the classic Kingdom Hearts crew and the adventure commences. While Big Hero 6 is the only “new” content to come out of this trailer, we also get another glimpse of the Tangled and Toy Story cast members. We also see some snippets from the overall story. You can dive into Kingdom Hearts III‘s lengthy campaign when the game releases January 29, 2019 for the PlayStation 4 and Xbox One. If you can’t get enough Kingdom Hearts content and own a PlayStation VR, you’re in luck. 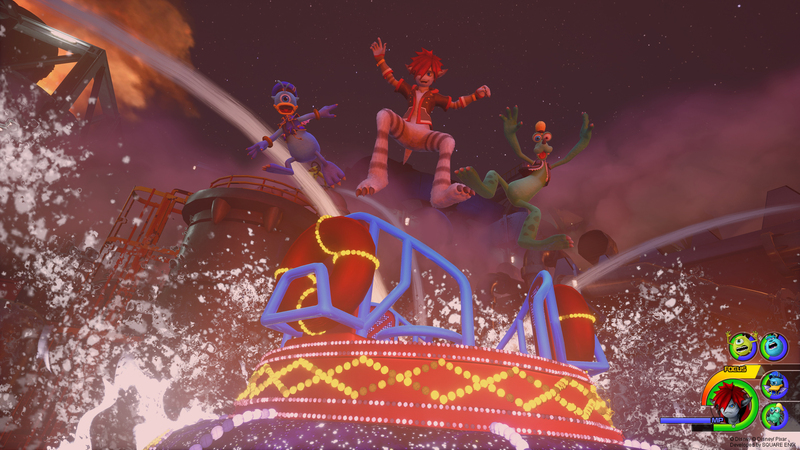 This holiday season, you can download Kingdom Hearts: VR Experience for a free. What Disney franchise are you dying to see in Kingdom Hearts III? Tell us the wish your heart makes in the comments below.